She tears open the small wrapped package, eager to see what’s inside. The lime green iPod Nano is accompanied with Taylor Swift’s “Fearless” album. She grins from ear to ear, thinking about the feel good tunes she’ll be listening to later. She had no idea that years later the present that granted her an amazing Christmas would bring back unsettling, wistful feelings. At the time she knew something wasn’t quite right, but she wasn’t ready to transition just yet. 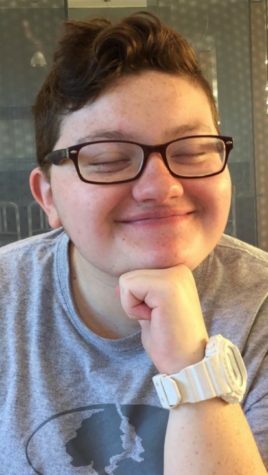 Hunter Howard, a sophomore political science major, said listening to the throwback songs of Taylor Swift take him back to the seventh grade, back to before he began transitioning. Back to when he was a girl. 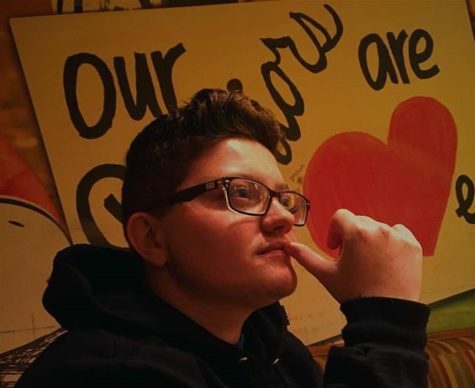 During his sophomore year of high school, Howard, a lesbian at the time, began to realize he was transgender. However, he repressed himself and instead acted feminine and girly. “I would always snoop in my brother’s closet to steal his clothes to dress more boyish,” Howard said. When he came to NKU during the spring semester of last year, he finally came to terms with being transgender. Now, he identifies as a straight male. Howard had been in the lesbian community for 4-5 years and says switching to another community can make it difficult to find yourself. Because men socialize differently, Howard has had to learn the quirks between men and women. “I’ve always hung out with girls, not just because I like them, but because I was raised as a girl, so I socialized as a girl,” Howard said. “A man’s habits are weird, they stand and move differently. Being transgender has been a long journey for Howard, and he said it has been confusing at times. But he knows that his future will be better now. Howard used to have bad weeks and even months, but now it’s turning into shorter amounts of time and eventually he believes there will be none. Howard said it starts when someone sees him for something he’s not. “So, I’ll start thinking, ‘Maybe you’re wrong about this,’” Howard said. When that happens Howard turns to his habits and supporters for comfort. 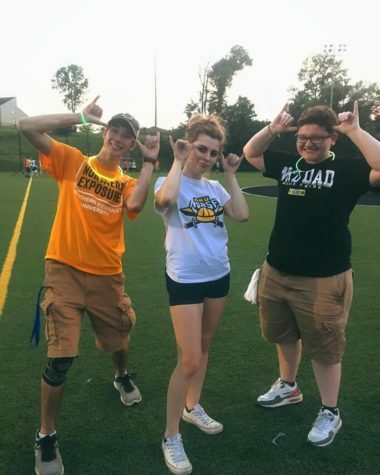 While only being in his sophomore year, Howard has found NKU welcoming and sensitive to all the people on campus. 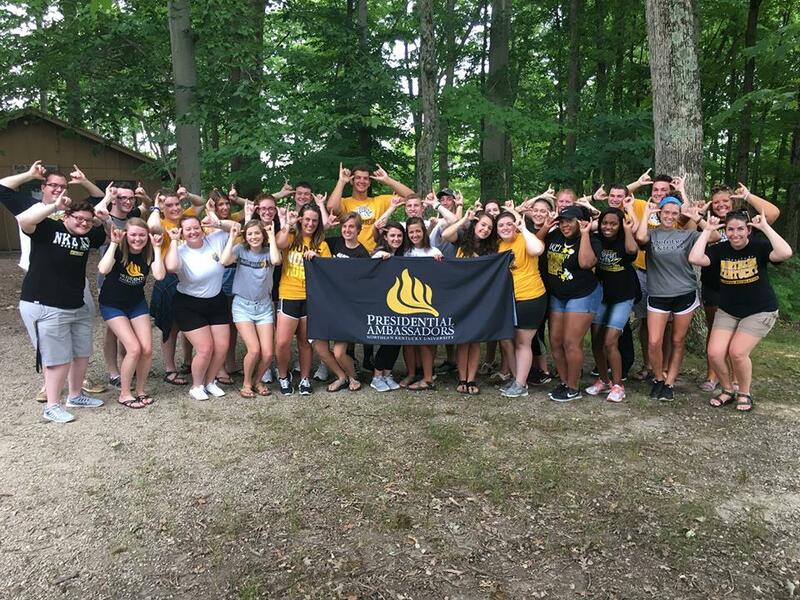 He is currently a Presidential Ambassador, a student organization that participates and provides support for campus events, and was in Alpha Omicron Pi, where he formed close knit relationships. When Howard does have a bad day, he turns to his Alpha Omicron Pi sisters for some cheering up. While he currently resides at NKU, Howard grew up in Anderson County, Kentucky. He loves his home, his parents and his dogs but says it can sometimes be hard going there. His hometown is very traditional and rural. Howard said going home can be a little complicated, but he makes sure to keep doing so because he loves his family. He hopes that they will be more supportive. Howard said being called his old name can be upsetting and being home is too much of a reminder of his past self. One of the biggest surprises this semester for Howard was the kindness from his professors after emailing them to inform them of his name, which was different from the roster. Professor Bruce McClure, Howard’s civil law class instructor, said the reason he does that is so Howard feels comfortable. 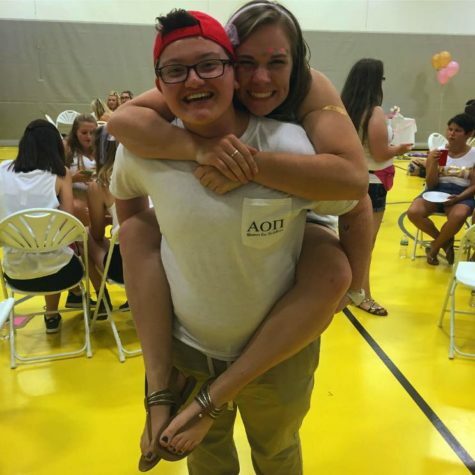 Without being in Alpha Omicron Pi and Presidential Ambassadors, Howard wouldn’t feel like NKU is home. After coming to NKU last semester, Howard finally felt he was in safe environment and is glad he can be himself. “I hear a lot of ‘you’re always yourself’ from my sisters, and it’s really great to hear that and makes me feel more comfortable,” Howard said. “I came into the sorority acting really girly because that’s what I thought I had to be, but then getting to know my friends, I realized I could be myself. Bailey Fox, an undeclared sophomore and Howard’s sister in AOPi, said that she was waiting for him to open up and tell her. Being a part of Presidential Ambassadors, Howard also tries to inspire people to be themselves. Being a part of Presidential Ambassadors, Howard also tries to inspire people to be themselves and enjoys giving back to them. One of Howard’s favorite parts about being in PA is getting to give a new perspective to students. “I get to show them this a place where you can be who you are. You can feel comfortable here,” Howard said. “The greatest thing about NKU’s campus is we come from so many different backgrounds.